Stanley and Katrina: Happy Halloween from our Hermione. 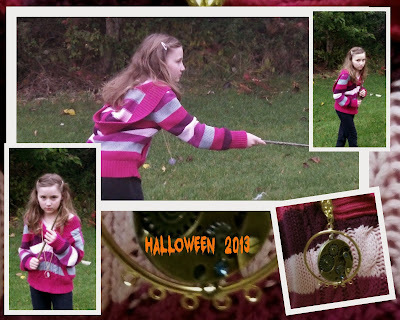 Neighbor Girl as Hermione Granger. 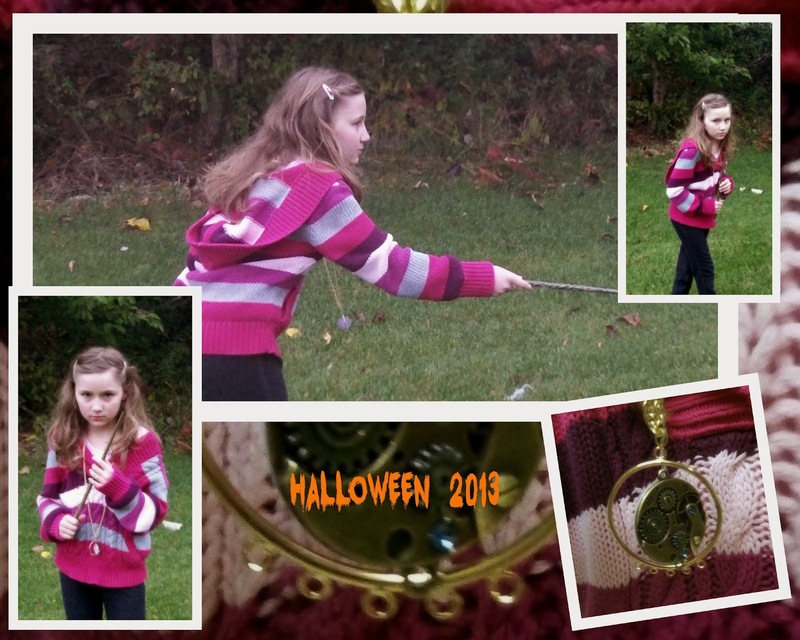 She made the time turner two days before Halloween, when she realized that the one on order probably would not arrive in time. What did you/your pets/your children dress up as?